The TURNEX50 is extremely lightweight and the smallest of the range of turnex tool kits. 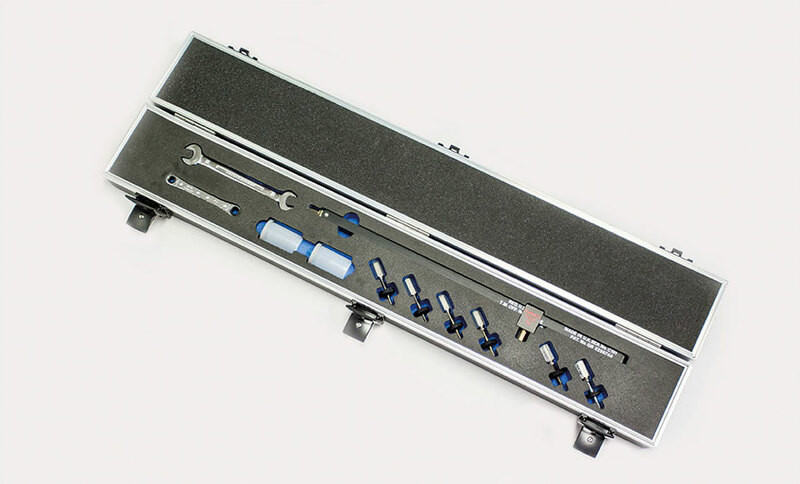 The kit consists of a pressure lever bar, a slide block bit assembly and a threaded anchor adaptor. The TURNEX50 is ideal for use on fuselage and fairing panels and in cabin locations on small or medium sized aircraft and helicopters. Its small size and weight is an asset in cabin locations and confined spaces. Effective up to a 3” screw pitch. Contents – Imperial Part No. Contents – Metric Part No.